Ugh. 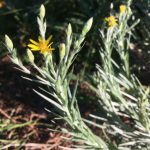 Unfortunately, there are a handful of common misconceptions about drought-tolerant landscaping that just won’t go away. 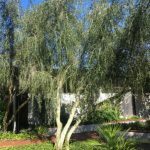 April is actually one of Florida’s driest months – hence being designated Florida’s “Water Conservation Month.” For that reason, today’s post attempts to shatter some stubborn stereotypes about “drought tolerant” landscaping in Florida. 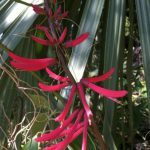 Let’s dive into the diversity in shape, color, size, and form that drought-tolerant plants can bring to your central FL landscape! Springtime blooms of Simpson’s stopper attract a wide range of pollinators and beneficial insects. 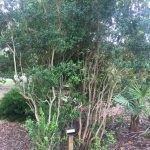 This exceptional native FL plant can be grown as a shrub, hedge, or small tree. 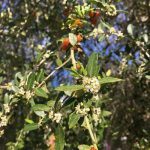 They have springtime blooms (a true pollinator paradise), red berries (food for birds), fragrant leaves (smells like allspice when rubbed or crushed), and are drought tolerant (once established). 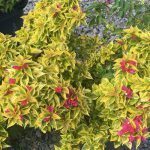 Depending on pruning and cultivar, Simpson’s stopper can be grown as a shrub or small tree. 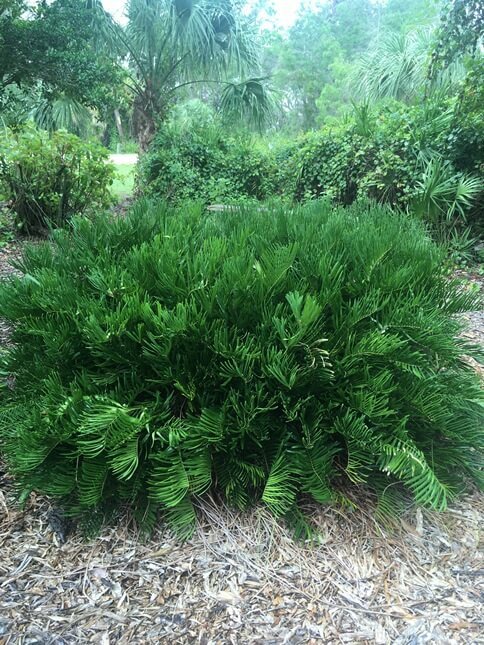 With such great versatility, it’s no wonder this FL native has become so popular in landscapes in recent years. 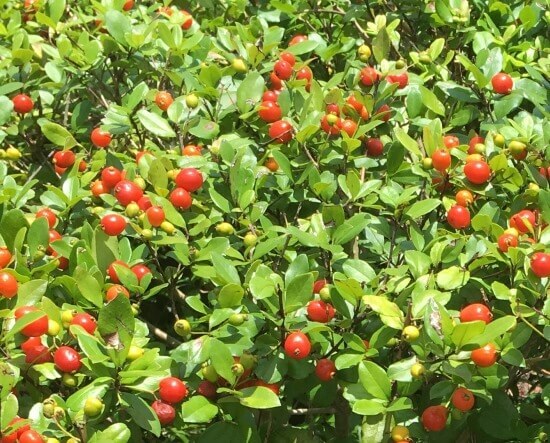 Evergreen foliage, bright red berries, plus a weeping growth form straight out of a Dr. Seuss book… and it’s a FL native too! 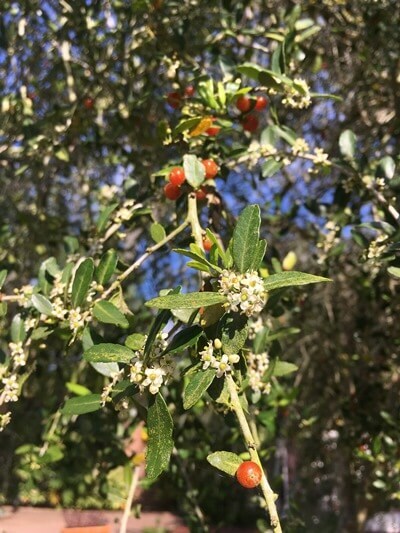 Weeping Yaupon holly – a close up of the flowers and berries. 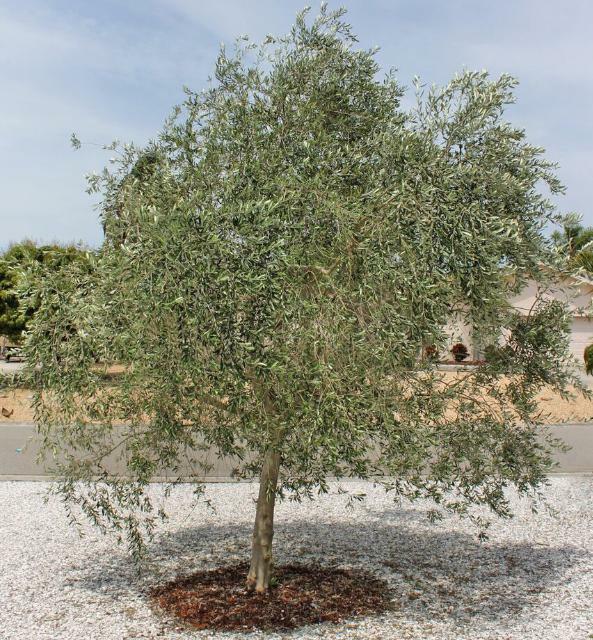 There’s plenty to love about this medium-sized drought tolerant tree. The dense, deep green foliage is attractive and provides good habitat value. 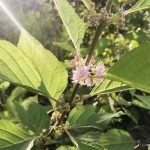 Flowers and fruits support pollinators and other wildlife. 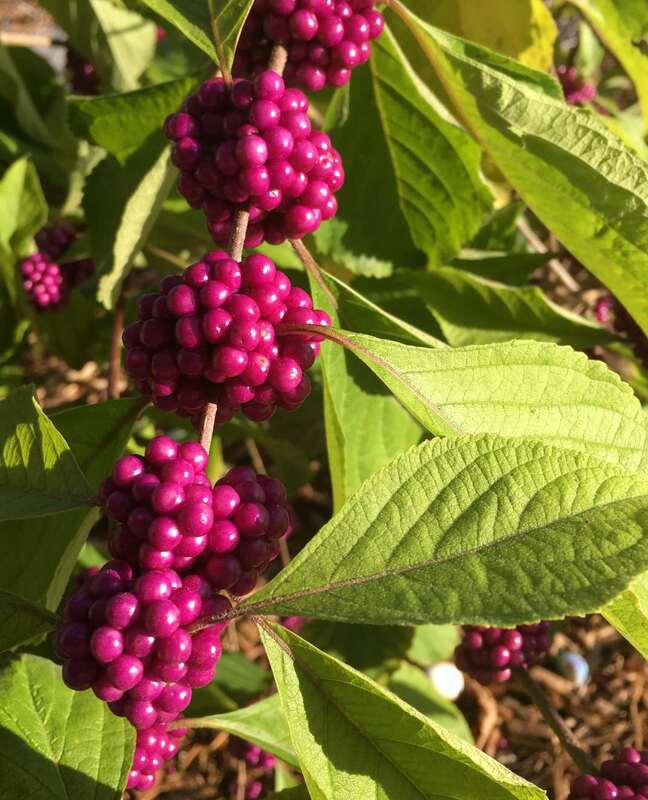 And for those gardeners who want to include more native plants in their landscapes, Walter’s viburnum is another great FL native that is increasingly popular in the landscape industry! 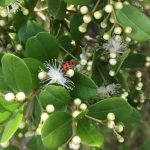 Similar to Simpson’s stopper, Rusty Lyonia can either grow as a dense shrub or small tree. 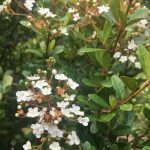 While not as easy to find as Simpson’s stopper or Walter’s viburnum, Rusty Lyonia is a tough, versatile native scrub plant that has loads of un-tapped landscape potential. 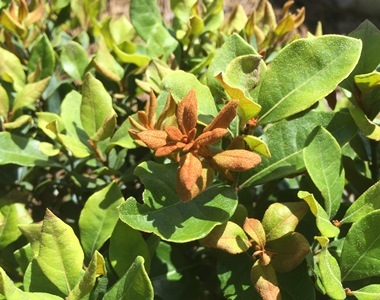 New growth is covered in rust-colored fuzz, (from which Rusty Lyonia derives its name). Rusty new growth contrasts nicely against varying tones of green. 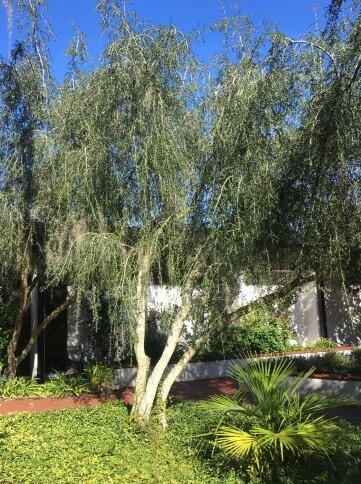 As it grows, the dense foliage changes to light green, then deep green. Older leaves have in-rolled margins, and often look like they’ve been dusted in sugar. Abundant clusters of bell-shaped flowers appear mid-winter, providing a welcome food source for pollinators. 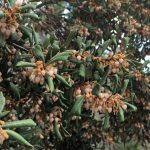 Delicate bell-shaped blooms of Rusty Lyonia appear in mid-winter. 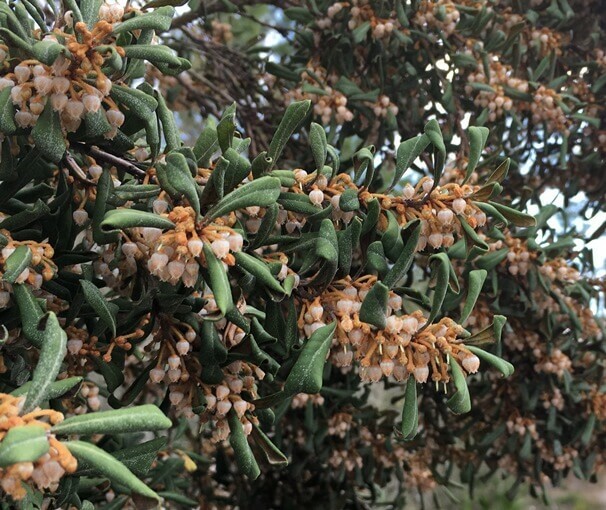 With multi-toned foliage, mid-winter flowers, and a unique growth habit that can almost be described as bonsai-like, this is a plant with a lot of character. 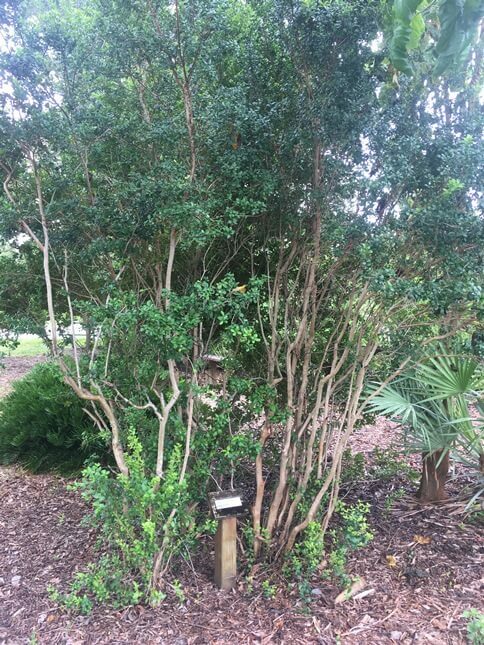 Interesting trivia fact – The unique, twisted trunks and branches of Rusty Lyonia have actually been used as a source of “crooked wood” for the artificial plant industry! 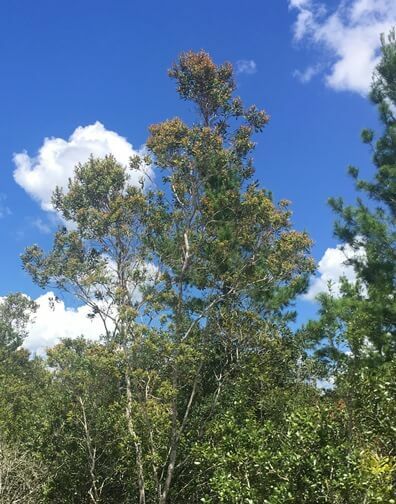 In natural scrub areas, older Rusty lyonia can sometimes form a small, multi-trunked tree. 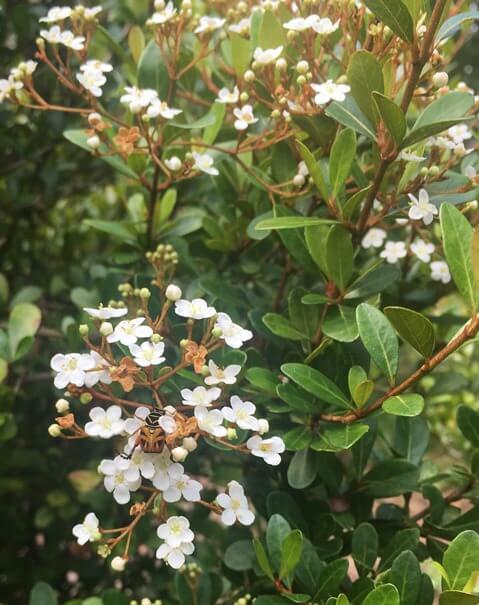 Glossy leaves, flower clusters, and small marble-like fruits can make Marlberry an interesting landscape feature. 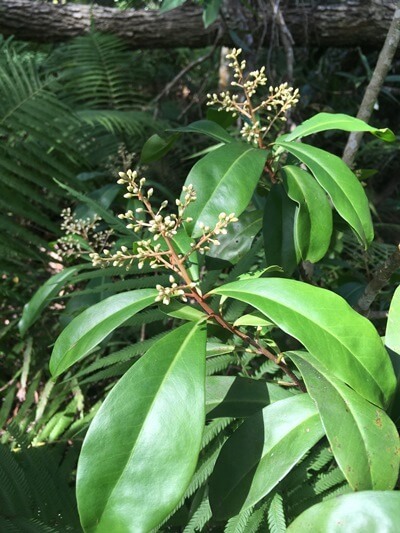 This under-appreciated native plant has large, glossy leaves. It tolerates alkaline soils/sands. 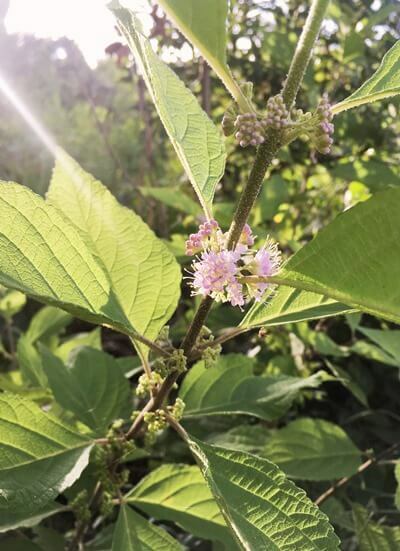 Clusters of flowers grow at branch tips, turning into dark berries that provide food for birds. 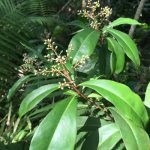 Unfortunately, Marlberry’s evil invasive cousin Coral Ardisia gets all the attention, but Marlberry certainly deserves to be more widely known. 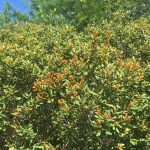 Aside from a handful of nurseries that specialize in native plants, Marlberry isn’t currently widely available. 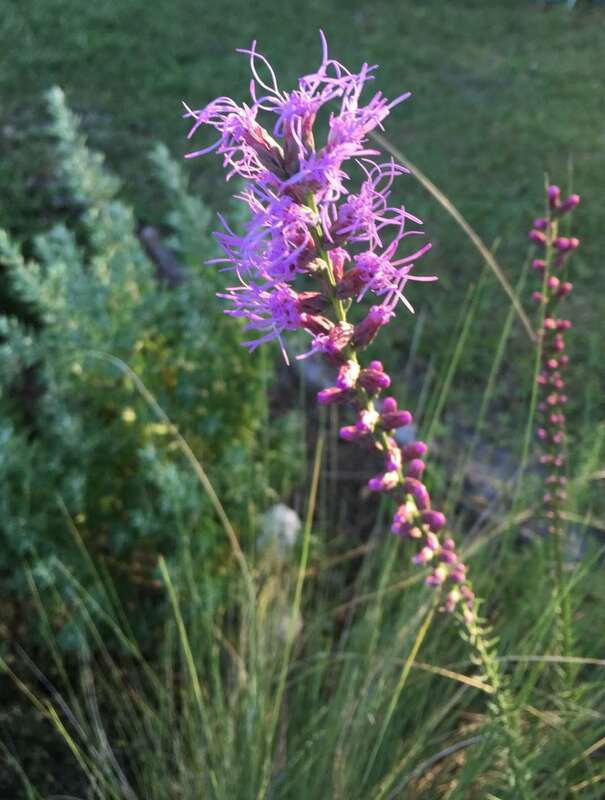 However, increasing interest in FL native plants is helping to create more demand. 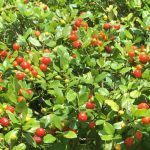 Trivia fact: Marlberry’s name is derived from “Marble-berry” which described the small round fruits of this shrub. Tiny, delicate pink flowers clustered around the branch are followed by bright magenta berry clusters in the fall. 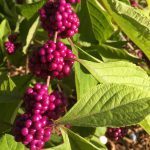 If you want to keep your beautyberry’s growth more compact, give it a hard pruning in early spring, along with an occasional shaping up through the growing season. That will help keep beautyberry’s natural “legginess” in check. 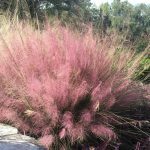 The fall display of Muhly grass brings color and movement to your landscape. 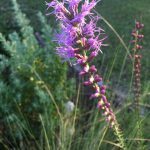 The brightly-colored flower stalks of Muhly grass are an eye-catching fall favorite, providing wonderful color, texture, and motion into the landscape. But native Muhly grass looks good in the landscape nearly year-round. 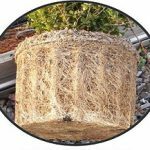 It can handle wet or dry conditions, and can add elements of movement and sound to a landscape when planted en masse. 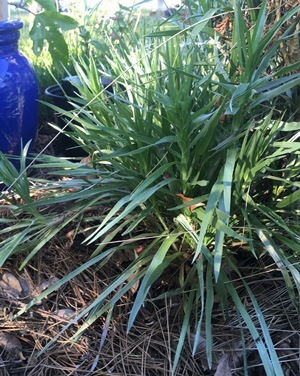 TIP: If your Muhly grass needs tidying-up or dividing, late winter or early spring is the right time, just before the flush of new growth. Pruning Muhly grass later in the year will spoil the spectacular fall show. 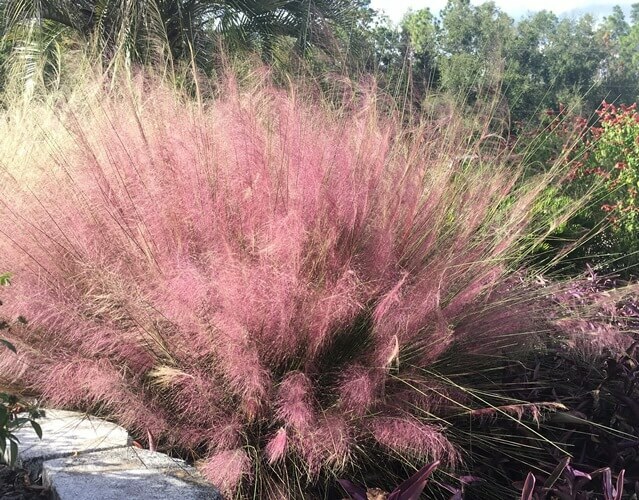 If pink isn’t your color, there’s a white variety of Muhly grass too,… although it will probably require some extra searching to find a nursery that carries it. Blue and purple tints of Elliott’s Lovegrass. 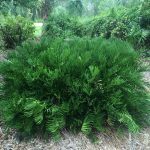 Florida’s only native cycad, the coontie is increasingly common due to its interesting appearance, low-maintenance, and drought tolerance. TIP: Because their tap-root is difficult to transplant when fully-grown, coonties are typically sold while still young. 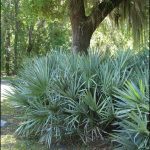 Full-grown coonties can be about 5′ across, so be sure to leave enough room when choosing the planting location. 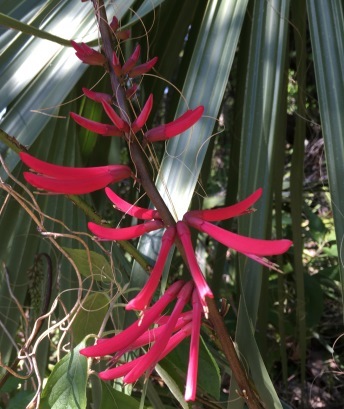 Red flowers of Coral bean attract hummingbirds in springtime. Blue form of Serenoa repens. 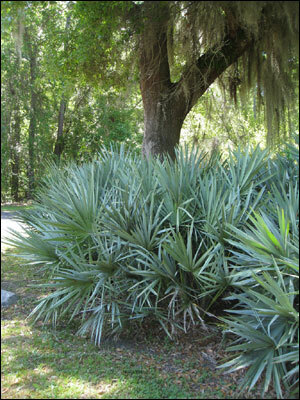 This native palm is highly drought tolerant. It features a low, clumping growth form. Depending on variety, leaves can be either green or silvery-blue. Flowers and fruit provide excellent wildlife value for birds and pollinators. Similar to coontie, be sure to leave sufficient room when planting. 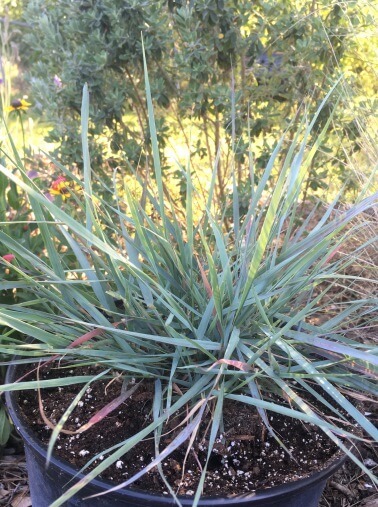 The foliage of narrowleaf silkgrass resembles silvery-blue grass. 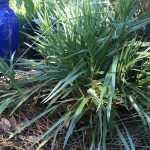 With silvery-blue grass-like foliage, yellow fall blooms, and great drought tolerance, narrow-leaf silkgrass can be a great feature in drought-tolerant landscapes. 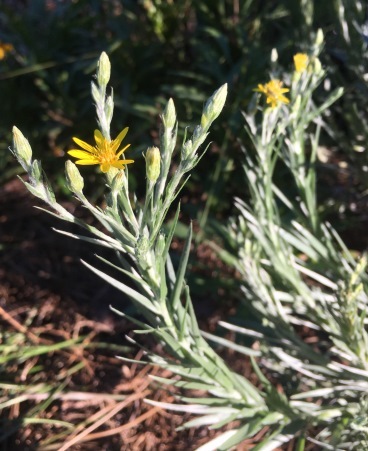 Yellow flowers of narrowleaf silkgrass bloom in fall. 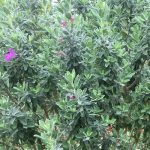 Silvery foliage and purple blooms of Texas sage. 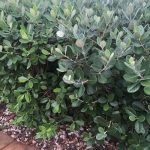 There are a handful of plants that excel under the most difficult landscape conditions – Texas sage is a great example. 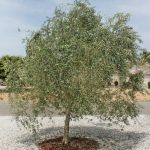 While many landscape plants struggle to grow in well-drained, nutrient-poor, alkaline soils under full sun, it is under those precise conditions that Texas sage thrives. 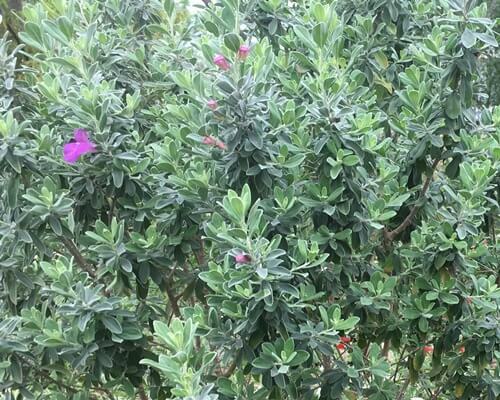 In fact, the two things Texas sage WON’T tolerate are soggy, fertilized soil and shade. 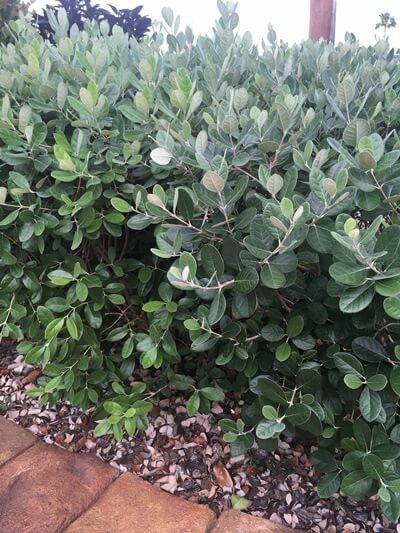 With enough cold tolerance to handle Zone 9’s winter chills too, Texas sage certainly deserves inclusion in the Florida-Friendly Landscaping toolkit, since this plant can handle some really difficult conditions, and it looks good while doing it. Bonus: Don’t like to prune often? Texas sage is a slow grower. Occasional trims are all that’s needed to maintain the natural growth form and prevent any leggy branching. 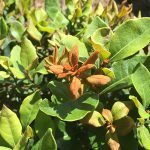 Not many fruit trees are able to thrive in poor, sandy soils. 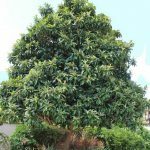 But loquats grow so well in the dry, western parts of Pasco that New Port Richey is home to an annual springtime Loquat Festival! 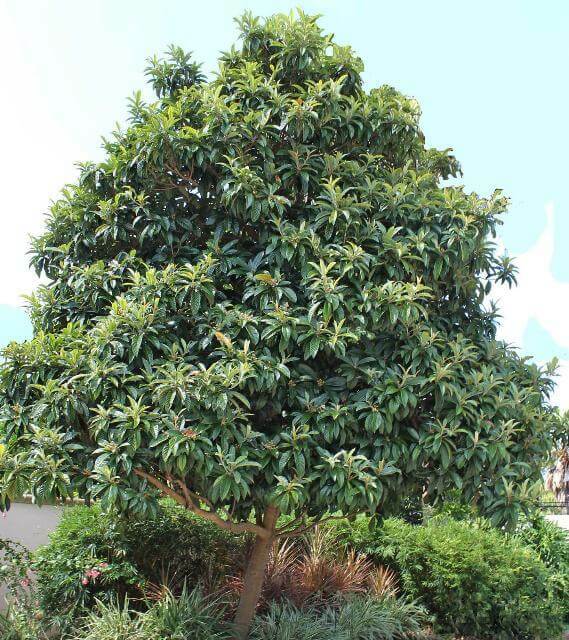 Feijoa or “pineapple guava” can be grown as a tree or shrub. 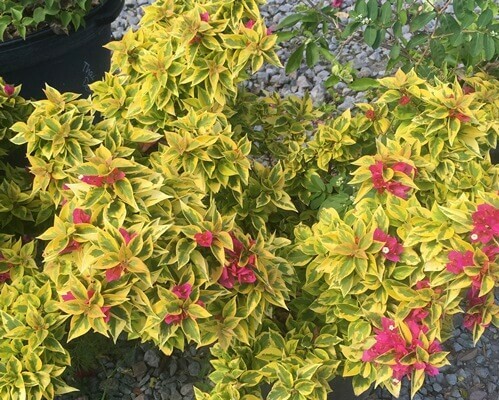 Bougainvillea “Pink pixie” is compact, variegated, and nearly thornless! These plants thrive on neglect, heat, and full sun. They bloom profusely during the peak of the springtime dry season. 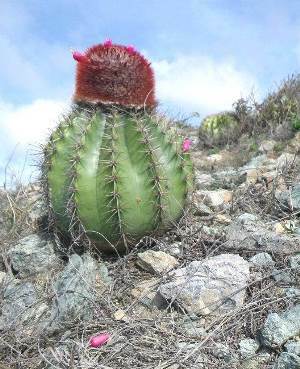 While older, traditional varieties have a reputation for being thorny and difficult to control, some newer varieties have more compact growth habits and greatly reduced thorns (ex: Bougainvillea “Pink Pixie”). 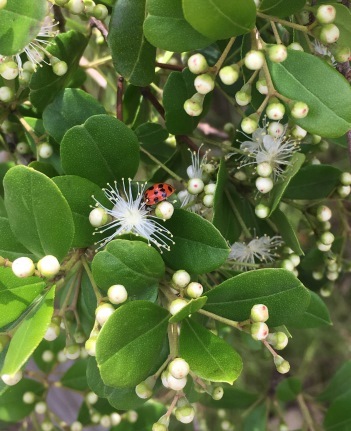 Florida privet – (Forestiera segregata) – Featuring small shiny leaves, black springtime berries that provide food for birds, and an ability to handle full sun and well-drained soils, this FL native is vastly under-appreciated. 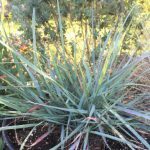 Even the most drought-tolerant plants will need some supplemental watering to get established in a landscape. In fact, sometimes they can be extra-thirsty until their massive root system can spread out into the soil. Be sure to provide supplemental watering to ensure a strong start. 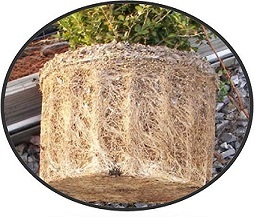 Some drought-tolerant plants become extremely root-bound while growing in pots. Are you looking for solutions for a difficult landscape situation? Ask Extension – We’ve got information for you! Each year, the Tampa Bay Community Water-Wise Awards Program seeks to recognize residents and businesses from across the tri-county Tampa Bay region (Pasco, Pinellas, and Hillsborough) that have created outstanding examples of water-efficient Florida-Friendly Landscapes. What are some features that could make a landscape the next “water-wise” winner? 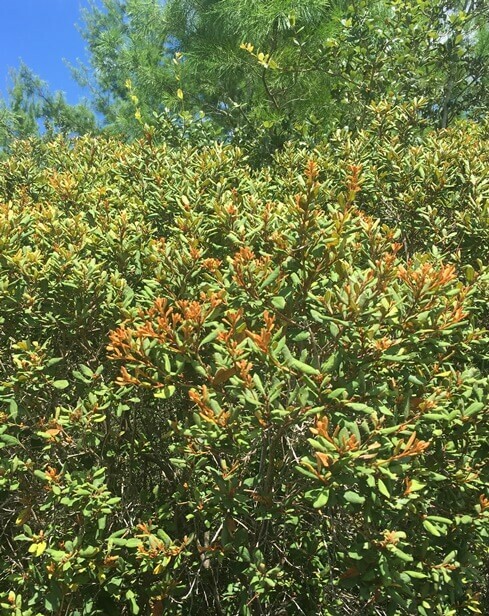 In other words… if your landscape helps destroy the myth that attractive FL landscapes require a lot of water, fertilizer, and pesticides – you could be the next winner! Learn some of the benefits of being “water-wise” by clicking this link – http://tampabaywaterwise.org/Benefits. Entering is free, and only takes a few minutes. Potential applicants should visit http://tampabaywaterwise.org/Enter-Your-Landscape to fill out the brief online entry form. Applications for this year’s competition will be accepted until June 30, 2019. For more information, check out the recent press release about the program. 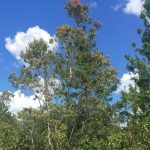 About the Author: As the Florida Friendly Landscaping (FFL) Program Coordinator in Pasco County, Frank works with the residents, homebuilders, and businesses of Pasco to achieve attractive, resilient yards and communities while reducing over-reliance on irrigation, fertilizer, and pesticides. Through an innovative collaboration with Pasco County Utilities, Frank provides on-site assistance to individuals and communities identified as high water users. He can be reached at (813)929.2716. Thirsty for more FFL knowledge? 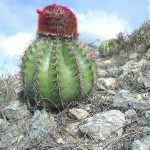 Check out some of my previous posts!